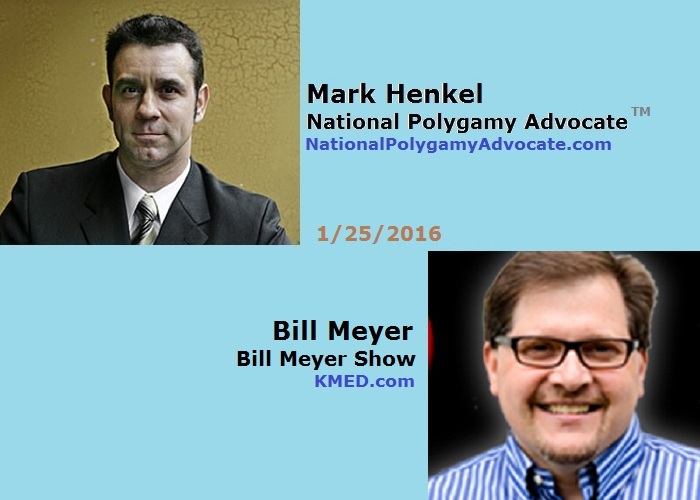 For Monday, January 25, 2016, I was invited as a guest on The Bill Meyer Show, on KMED in Medfield, Oregon, at 7:10 am local time (10:10 am ET my time zone). I was asked to come on the show to answer questions regarding the news of Thursday, January 21, 2016, when the “Sister Wives” case, Brown v. Buhman, was heard at the Tenth Circuit Court of Appeals, in Denver, Colorado. I was more than happy to answer questions about UCAP (unrelated consenting adult polygamy) as well as the specifics of the case in court. Overall, this interview became another useful tool for UCAP (unrelated consenting adult polygamy) activists to share when discussing the issues with others.